This notice describes how clinical information about the individual who receives services may be used and disclosed, and how that individual, their guardians and/or their personal representatives, can get access to this information. Guardians and personal representatives should be aware that the word “you” in this notice refers to the individual, not to the guardian. Please review it carefully. We are committed to protecting the privacy of you and your family, and sharing information about you only with those who need to know and who are permitted by law to receive this information. We are required by both federal and state law to protect the privacy and confidentiality of mental hygiene information that may reveal your identity, and to provide you with a copy of this notice which describes the clinical information privacy practices of our agency, its staff, and affiliated service providers that jointly provide services for you. A copy of our current notice will always be posted in our clinic reception area. You will also be able to obtain a copy by accessing our website at sullivanarc.org, calling our office at 845-796-1350, ext. 2000, or asking for one at the time of your next visit. Clinical information about you may be used by our agency (or its business associates) in connection with our duties to provide you with treatment, to obtain payment for that treatment, or to conduct our agency’s business operations. When we are communicating with other MR/DD/MH agencies which are currently providing services to you, or working with us to plan for services for you, if this communication is about treatment, payment, or agency operations. “treatment means that we may share clinical information about you inside our agency, or with another agency, to plan for and provide services for you. If you agree, we may also share information about you with other outside MR/DD/MH service system when necessary to provide other services; for example, we may disclose certain information about you to a prospective employer in connection with a job placement or training program. “payment” means that we may use clinical information about you, or share it with others, so that we may obtain payment for your services. If you are an inmate, to your correctional facility if they certify that the information is necessary in order to provide you with health care, or to protect the health or safety of you or any other persons at the correctional facility. Funeral Directors. In the event of your death, we may release this information to funeral directors as necessary to carry out their duties. Emergencies or Public Need. We may use or disclose clinical information about you in an emergency or for important public needs. For example, we may share your information with public health officials at the New YorkState or City health departments who are authorized to investigate and control the spread of diseases. As Required by Law. We may use or disclose your clinical information if we are required by law to do so, or if a court orders us to do so in a lawsuit or judicial proceeding. We also will notify you of these uses and disclosures if notice is required by law. Victims of Abuse, Neglect or Domestic Violence. We may release clinical information about you to a public health authority that is authorized to receive reports of abuse, neglect or domestic violence. For example, we may report your information to government officials if we reasonably believe that you have been a victim of abuse, neglect or domestic violence. We will make every effort to obtain your permission before releasing this information, but in some cases, we may be required or authorized to act without your permission. Special Situations-Most uses and disclosures of psychotherapy notes, uses and disclosures of protected health information for marketing purposes, and disclosures that constitute a sale of protected health information require authorization. Fundraising. We may use demographic information about you such as your age, gender, where you live or work, and the dates that you received services in order to contact members of the Chapter to raise money to help us operate. This information may also be shared with a charitable foundation that may contact you for fundraising events on our behalf. If you wish to opt out of these contacts, please or call the Public Relations Coordinator at (845)796-1350 Ext.  1050; or toll free at 1-888-272- 7525, e-mail to publicrelations@sullivanarc.org or write to the Public Relations Coordinator, SullivanArc, 162 East Broadway, Monticello, NY 12701. If we obtain approval through a special process to ensure that research without your authorization poses minimal risk to your privacy. If we do not allow researchers to use your name or identity publicly. Any uses and disclosures of information, other than those permitted by law and described in this Notice, will be made only with your written authorization. Psychotherapy notes are recorded by a mental health care provider who is a mental health professional documenting or analyzing the contents of conversation during a private counseling session or a group, joint, or family counseling session, that are maintained separate from the rest of your medical records. These notes can only be used and disclosed as described below.Any other uses and disclosures not described in the Notice of Privacy Practices will only be made with prior authorization. The mental hygiene professional who created the notes may disclose them as necessary to defend his or herself, or the agency, in a legal proceeding initiated by you or your personal representative. The mental hygiene professional who created the notes may disclose them to medical examiners and coroners if necessary to determine your cause of death. The Privacy of HIV related information maintained by this agency is protected by Federal and State law and regulations. Confidential HIVrelated information is any information indicating that you had an HIV related test, have HIV related illness or AIDS, or have an HIV related infection, as well as any information which could reasonably identify you as a person who has had a test or had HIV infection. Under New York State Law, confidential HIV related information can only be given to person’s allowed to have it by law, or to persons you allow to have it by signing a written authorization form. You can ask to see a list of people who can be given confidential HIV related information by law without a written authorization form. Incidental Disclosures.While we will take reasonable steps to safeguard the privacy of your information, certain disclosures of your information may occur during or as an unavoidable result of our otherwise permissible uses or disclosures of your information. For example, during the course of a treatment session, other consumers in the treatment area may see, or overhear discussion of your information. How to Access your Clinical Information.You generally have the right to inspect and copy your clinical information. For more information, please see later in this notice. How to Correct Your Clinical Information.You have the right to request that we amend your clinical information if you believe it is inaccurate or incomplete. For more information, please see later in this notice. How to Keep Track of the Ways Your Health Information Has Been Shared With Others. You have the right to receive a list from us, called an “accounting list”, which provides information about when and how we have disclosed clinical information about you to outside persons or organizations. Many routine disclosures we make will not be included in this accounting list but the accounting list will identify non-routine disclosures of your information. For more information, please see later in this notice. How to Request Additional Privacy Protections.You have the right to request further restrictions on the way we use clinical information about you or share it with others. We are not required to agree to the restriction you request, but if we do, we will be bound by our agreement. For more information, please see later in this notice. How to Restrict Disclosure. You have the right to restrict disclosures of protected health information to a health plan with respect to health care for which you have paid out of pocket in full. How to Request More Confidential Communications.You have the right to request that we contact you in a way that is more confidential for you, such as at home instead of at work. We will try to accommodate all reasonable requests. For more information, please see later in this notice. How Someone May Act on Your Behalf. You have the right to name a personal representative who may act on your behalf to control the privacy of your clinical / medical information. Parents and guardians will generally have the right to control the privacy of clinical information about minors unless the minors are permitted by law to act on their own behalf. How to revoke a prior authorization. You have the right to revoke a prior authorization to disclose PHI. To do so, please submit the request in writing to the Privacy Officer. How to Obtain a Copy of This Notice. You have the right to a paper copy of this notice. You may request a paper copy at any time, even if you have previously agreed to receive this notice electronically. To do so, please call the Privacy Officer, 845-796-1350, ext. 2000. You may also obtain a copy of this notice from our website at sullivanarc.org or by requesting a copy at your next visit or meeting. How to Obtain a Copy of Revised Notice. We may change our privacy practices from time to time. If we do, we will revise this notice so you will have an accurate summary of our practices. The revised notice will apply to all of your clinical / medical information, and we will be required by law to abide by its terms. We will post any revised notice in our agency reception area. You will also be able to obtain your own copy of the revised notice by accessing our website at sullivanarc.org, or by calling our office at 845-796-1350, ext. 2000 or asking for one at the time of your next visit or meeting. The effective date of the notice will always be noted in the top right corner of the first page. How to File a Complaint. If you believe your privacy rights have been violated, you may file a complaint with us or with the Secretary of the Department of Health and Human Services. To file a complaint with us, please contact the Privacy Officer, SullivanArc, 162 East Broadway, Monticello, NY 12701, 845-796-1350, ext. 2000. If you wish to file an anonymous HIPAA related complaint, you may do so by calling the HIPAA Hotline at (845) 796-1350 Ext. 1006. In the Event of a Breach.SullivanArc will notify you or your personal representative without reasonable delay and no later than 60 calendar days after discovery of a potential or actual privacy breach. In most cases this notification will be made in writing as long as contact information is current and correct. Substitute notice will be utilized if contact information is outdated or incorrect. Substitute notice may include posting on the agency website at sullivanarc.org, a phone call, e-mail, or a conspicuous notice in a major print or broadcast media in the geographic area of residence. A substitute posting will remain in effect for at least 90 days. An investigation and/or risk assessment of the incident will be conducted promptly to determine the probability that the PHI has been compromisedand you will be advised on any necessary actions you must take to protect yourself from any further affects. As outlined in the HIPAA privacy rule, if a law enforcement official determines that notification would impede a criminal investigation or cause damage to national security, SullivanArc may delay notification. We want you to know that you have the following rights to access and control your clinical information. These rights are important because they will help you make sure that the clinical information that we have about you is accurate. They may also help you control the way we use your information and share it with others, or the way we communicate with you about your medical matters. Right to Inspect and Copy Records. You have the right to inspect and obtain a copy of any clinical information that may be used to make decisions about you and your treatment for as long as we maintain this information in our records. This includes medical and billing records. To inspect or obtain a copy of your clinical information, please submit your request in writing to the Privacy Officer. While we will always advise the most secure method of transmission, ultimately the request will be fulfilled as per your direction. The agency will not be responsible for PHI that has been breached as a result of fulfilling your request to send information in an unsecure manner. If you request a copy of the information, we may charge a fee for the cost of copying, mailing or other supplies we use to fulfill your request. The standard fee is $0.75 per page and must generally be paid before or at the time we give the copies to you. We will respond to your request or inspection of records within 10 days. We ordinarily will respond to requests for copies within 30 days if the information is located in our facility and within 60 days if it is located off-site at another facility. If we need additional time to respond to a request for copies, we will notify you in writing within the time frame above to explain the reason for the delay and when you can expect to have a final answer to your request. Right to Request Amendment of Records. If you believe that the clinical information we have about you is incorrect or incomplete, you may ask us to amend the information. You have the right to request an amendment for as long as the information is kept in our records. To request an amendment, please write to the Privacy Officer. Your request should include the reasons why you think we should make the amendment. Ordinarily we will respond to your request within 60 days. If we need additional time to respond, we will notify you in writing within 60 day to explain the reason for the delay and when you can expect to have a final answer to your request. If we deny part or your entire request, we will provide a written notice that explains our reasons for doing so. You will have the right to have certain information related to your requested amendment included in your records. For example, if you disagree with our decision, you will have the opportunity to submit a statement explaining your disagreement which we will include in your records. We will also include information on how to file a complaint with us or with the Secretary of the Department of Health and Human Services. These procedures will be explained in more detail in any written denial notice we send you. To request this accounting list, please write to the Privacy Officer. Your request must state a time period within the past six years for the disclosures you want us to include. For example, you may request a list of the disclosures that we made between January 1, 2004 and January 1, 2005. You have a right to receive one accounting list within every 12 month period for free. However, we may charge you for the cost of providing any additional accounting list in that same 12 month period. We will always notify you of any cost involved so that you may choose to withdraw or modify your request before any costs are incurred. Right to Request Additional Privacy Protections.You have the right to request that we further restrict the way we use and disclose your personal health information to treat your condition, collect payment for that treatment, or run our agency’s normal business operations. You may also request that we limit how we disclose information about you to family or friends involved in your care. For example, you could request that we not disclose information about a surgery you had. You have the right to restrict the disclosure of personal health information if you have paid out of pocket for the services related to that information. To request restrictions, please write to the Privacy Officer. Your request should include (1) what information you want to limit; (2) whether you want to limit how we use the information, how we share it with others, or both; and (3) to whom you want the limits to apply. While we are obligated to agree to your request to restrict the disclosure of PHI related to services paid out of pocket, we are not required to agree to all requests for a restriction. In some other cases the restriction you request may not be permitted under law. However, if we do agree, we will be bound by our agreement unless the information is needed to provide you with emergency treatment or comply with the law. Once we have agreed to a restriction, you have the right to revoke the restriction at any time. Under some circumstances, we will also have the right to revoke the restriction as long as we notify you before doing so; in other cases, we will need your permission before we can revoke the restriction. Right to Request Confidential Communications.You have the right to request that we communicate with you about your medical matters in more confidential way by requesting that we communicated with you by alternative means or at alternative locations. For example, you may ask that we contact you by fax instead of by mail, or at work instead of home. To request more confidential communications, please do so in writing to the Privacy Officer. We will not ask you the reason for your request, and we will try to accommodate all reasonable requests. Please specify in your request how or where you wish to be contacted, and how payment for your health care will be handled if we communicate with you through this alternative method or location.